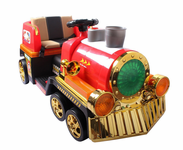 Magic Cars® remote control ride on cars for kids with powered wheels as seen on Nickelodeon TV bring a new level of fun to the world of driving excitement for babies and children. Now you can control the ride on car while your child is in it or outside of it (some of our customers lovingly refer to this feature as "Dad or Mom Mode"). Magic Cars® are the best ride on cars. It's like owning 2 cars in 1 as you can allow your baby or children to drive the electric car themselves from inside the car with the steering wheel, pedals, and buttons. 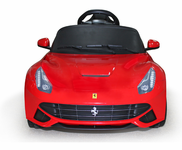 Or try our 2 seater RC ride on cars that are a great choice for twins, siblings, and taking pets for a drive. Don't be fooled by imitators, only official Magic Cars® sold on TrendTimes.com come with free 1 year bumper to bumper warranty. Have questions feel free to call your free personal shopper at 1-800-350-5420, 24 hours a day. 12 Volt remote control Ride on LaFerrari with Magic Car® with exotic gull wing doors, parental control for kids, and are battery powered. 2 seater ride on cars for children are the best of both worlds for kids that like to ride with a friend or pet. 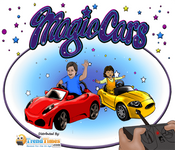 Shop and buy the best Magic Cars® ride on cars for your little one today. Four 12 volt motor powered ride on 2 seater ATV Jeep style trucks are great for children ages 1-9 and can hold up to 100 pounds. Drive over larger obstacles with the Magic Cars® Big Wheel Jeep Style remote ride on 4 x 4 truck for ages 1-8. Drive forwards, backwards, left, and right. 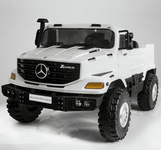 2 Seater electric ride on remote control electric Magic Cars® Mercedes Safari Style Jeep Style Truck for kids. Now with the most powerful 12 volt motors and a real working stereo. Ride on Remote control Mercedes AMG SLS 63 convertible measures 49 inches long, 30 inches wide, 22 inches high, and holds children up to 100 pounds! 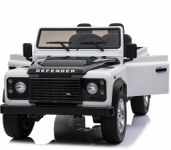 Ride around the tundra and the world with your new Magic Cars® 2 Seater Mercedes Benz 4x4 ATV Pickup BIG Class 4x4 wheel drive Jeep style ride on car for kids with leather seats and fold down lift gate. Pink Mercedes AMG G Wagon electric ride on car for children is the best pink car and looks just like a Mercedes for your Princess. Wow, check out this new 2 seater RC Hummer ride on truck that is setting the stage for the future of trucking in style. 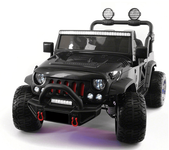 Amazing attention to detail sets this remote control Hummer apart from the competition. Be the talk of the neighborhood with fancy Magic Cars® Supreme Dream RC Ride On Smart Cars with free computer that will keep your children's friends begging you for a test drive. These are Magic Cars®, the most amazing ride on Lamborghini Aventador cars for children with the included Magic Cars® wireless steering wheel. Have a blast with the Magic Cars® Car 12v remote control ride on car for kids with air conditioning. Comes with MP3 port and working radio. Pink Bentley remote control ride on cars let you not worry about your kids getting out of control when you have the power like a drivers education teacher. Ride on Remote control Pink Mercedes Ride On Remote Control Car measures almost 4 feet long and holds children up to 100 pounds! Choose from white, black, or pink. Car sounds, working lights, carbon fiber steering wheel, real Magic Cars® Ferrari and 2 Ferrari ignition keys for added realism. 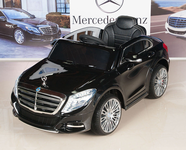 AMG special edition will give you the best with the super popular Mercedes Benz AMG 63 BiTurbo Magic Cars® ride on car for children with remote control. This cool Bugatti style ride on car for kids has a real working horn. 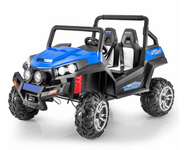 See why every child and parent wants to buy the amazing Lamborghini 12 volt ride on truck Jeep style ATV with Magic Cars® remote control parental feature. BMW i8 Ride On Magic Cars® remote control car measures over 4 feet long, over 2 feet wide, working stereo, mp3 input, real engine sounds, real leather seat, working lights. Get your jollies in your new and gorgeous remote control Jaguar ride on car for babies and children ages 1-5. Now you can smile and say to your children, "Hey kid, I bought you a ride on Mercedes Benz SLR, remember? Now eat your peas." Drive in the fast lane with the ride on Mini Cooper 12 volt ride on car for babies to kids. 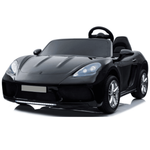 Lamborghini style Spider Ride On Car for kids with dual 12 volt motor configuration feels like a real car. It goes really well in grass and gravel and we love the two speed settings."